Fall has just arrived, but we're already looking ahead to 2019 winter wedding trends. 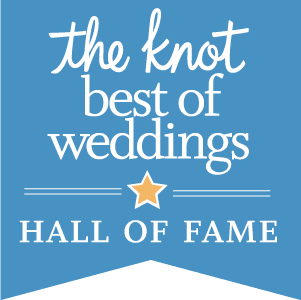 We’ve found all things warm, cozy and head turning to help you put the final touches on your special day. From the latest in wedding cakes to fashion for the groom to an over the top bar concept, scroll on for some of our very favorite winter wedding inspo! We see a lot of faux-fur wraps and jackets keeping winter brides warm, so this white leather moto jacket made us do a double take! We love the edgy, minimalist vibes this adds to a bride's look. Add this little number after the ceremony to stay warm during photos and dinner. Then, you’ll probably need to hand it off to your MOH once the dancing heats up! If you want to make sure your wedding guests remember your wedding every year when winter rolls around, this lux hot chocolate bar will make your big day unforgettable! Include a personalized element with fun mix-ins like candy canes, salted caramel and marshmallows. And let's not forget the "adult beverages"! Irish cream, coffee liqueur and cinnamon whiskey will make sure your winter wedding is 🔥🔥🔥! 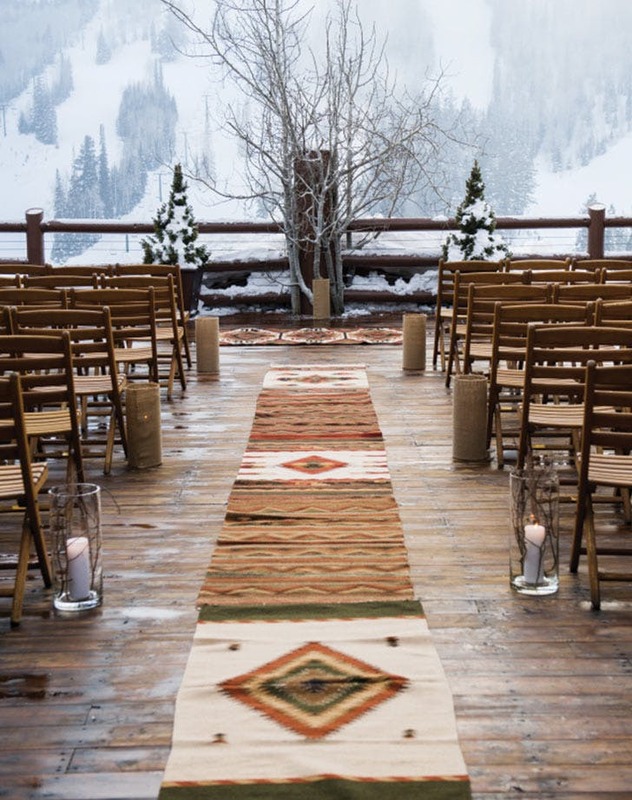 Southwestern elements like these aisle runners add warm earth tones to a chilly winter wedding. And the patterns add an interesting visual element to your decor. Velvet is in and also happens to be the perfect fabric to keep your stud hubs warm and cozy for your winter wedding. You can never go wrong with a classic like this navy jacket, but we're also loving the bold jewel tones like emerald, maroon and amethyst. Naked cakes are out and drip cakes are in! Choose a metallic drip frosting to really bring out the sparkling winter vibes. Check us out on social media for more wedding tips + new dress arrivals + #BTS action.